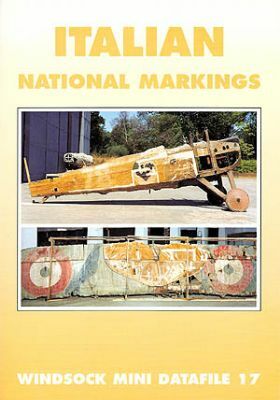 Describes the history of WWI Italian markings, their inception and their application with over 30 rare photos of a diverse number of types:Bleriots;Capronis;Ansaldos;Nieuports and many more. This comprehensive monograph also includes contemporary sketches depicting 1915 markings orders for Italian and Austro-Hungarian aircraft together with rear cover colour plates by Ray Rimell depicting typical Caproni and SPAD 7 markings-two planforms of SPAD markings complete the picture. For modellers building any WWI Italian aeroplane Gregory Alegi's unique study is the perfect one-stop resource!